BoatUS put together used-boat buying tips to help consumers determine whether they are buying a boat that Hurricane Sandy damaged when sellers are not forthcoming about the boat’s past. Nearly a year after Sandy, some of the 65,000 boats that were damaged or lost in the storm are being sold on the used-boat market, either in "as is" condition or after repairs have been made — which is fine if sellers are truthful about past damage. • Trace the history: When a car is totaled the title is "branded" as salvaged or rebuilt and buyers know up front that there was major damage, but few states brand salvaged boats and some don&apos;t even require titles for boats. 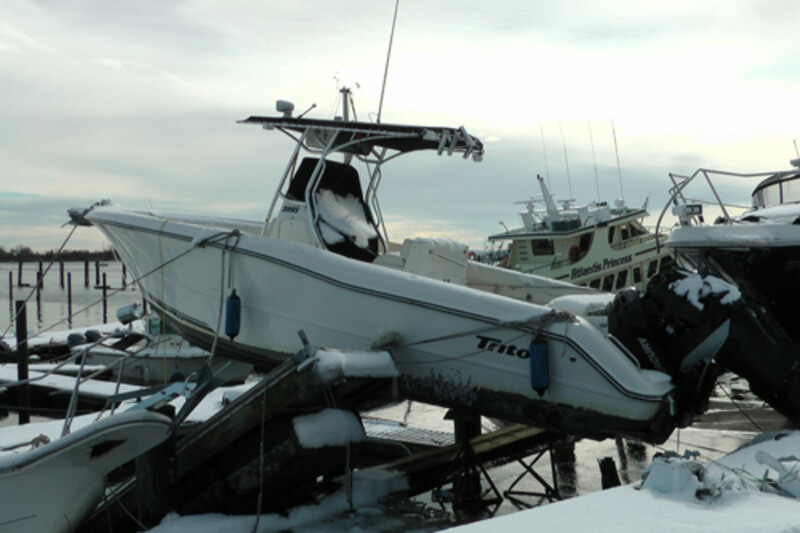 "Anyone wishing to obscure a boat&apos;s history need only cross state lines to avoid detection, which can be a tip-off," BoatUS consumer affairs director Charles Fort said. Also look for recent gaps in the boat&apos;s ownership, which may mean it was at an auction or in a repair yard for a long time. • Look for evidence of storm damage: A boat is more likely to have been badly damaged in a storm if you see two or three indicators such as recent hull repair, new repairs or sealant at the hull-to-deck joint, evidence of sinking, extensive corrosion in the electrical systems or evidence of major interior repairs.